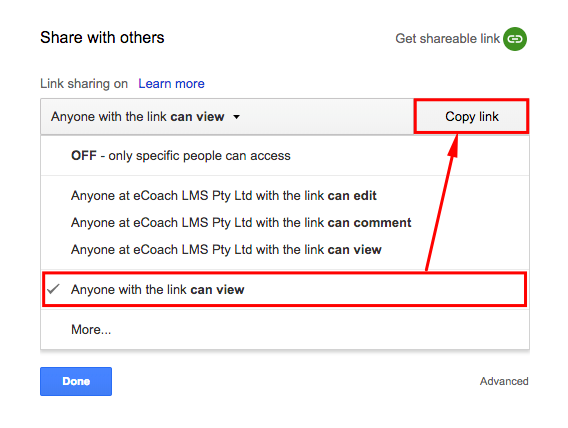 Documents can easily be added to your content inline from Google Drive using the shareable link and embedding it into the body of your content using the WYSIWIG Text Editor. Learn how to add a document inline by following a few simple steps! Click Save to finalise your work. Your document will now be viewable within your course without having to go to an external source!